It sounds like a fun idea on the surface, but I wish the writers of these fictional histories, would structure their fiction around biographical fact. It would make the book a lot more interesting if the fictional story were the only fictional part. Yes, Lovecraft ghost-wrote for Houdini (and they did once meet for dinner), but the sick wife component is complete baloney (sounds more like Poe). 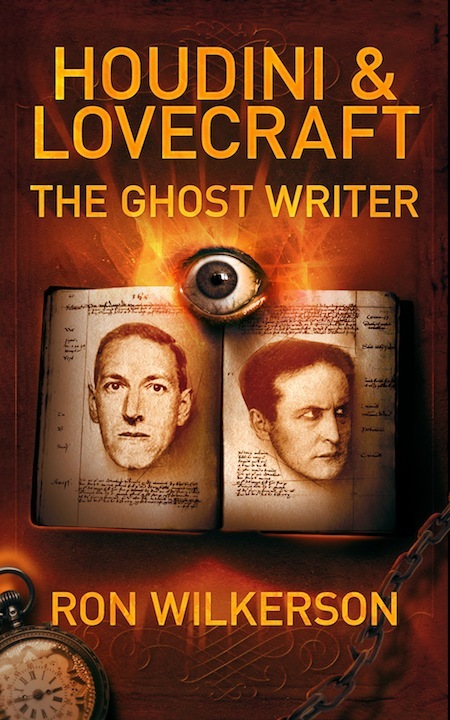 In fact, Lovecraft completed his ghost-writing assignment for Houdini just before he was married. The typescript was unfortunately lost while boarding a train the day before the wedding, and Lovecraft spent the morning of his wedding (March 3, 1924), and the two days following his marriage retyping the assignment from his handwritten manuscript. Regarding the supernatural, Lovecraft was every bit the skeptic Houdini was -- perhaps even more so. Lovecraft was a vocal atheist who did not believe even remotely in the supernatural. His second ghost-writing assignment for Houdini was an article attacking astrology, followed by an outline for a longer work titled The Cancer of Superstition (abandoned upon Houdini's death). There wasn't much distance between these two men in the skeptic department. Very interesting comment. Thank you. Terrific information.